Minka-Aire Lucero Collection 2-Tier chandelier uses 15 60-Watt B10.5 incandescent lamps. E12 candelabra socket lamp has voltage rating of 120-Volts. 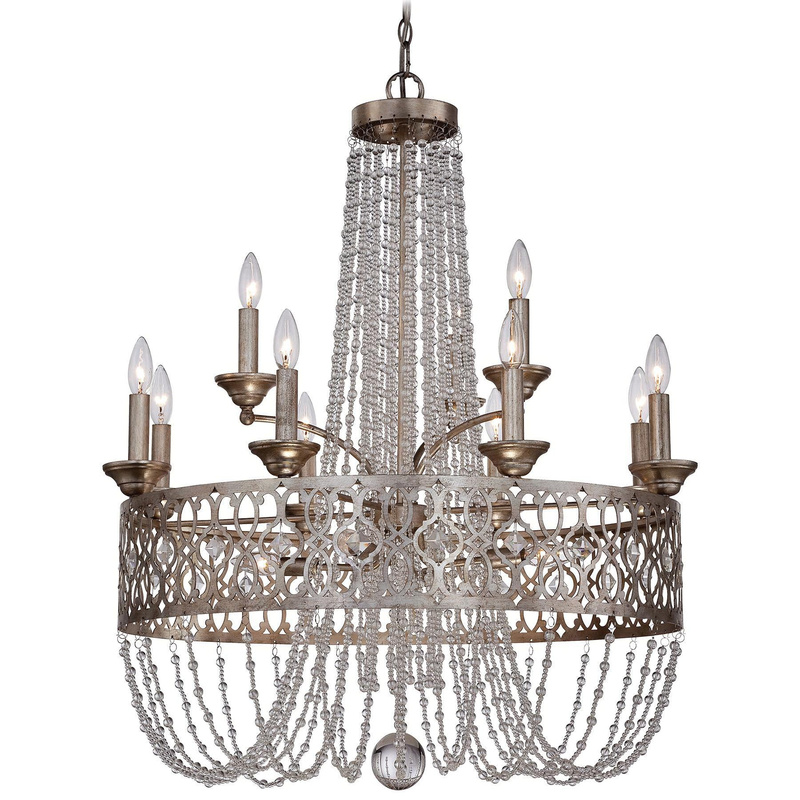 This traditional chandelier has florentine silver finish and high-strength steel construction. It measures 30-1/2-Inch x 30-1/2-Inch x 35-1/2-Inch. This chandelier has 72-Inch long chain/stem and 120-Inch lead wire for hassle-free installation. It is suitable for indoor lighting. Chandelier is cUS ETL intertek compliant.